Orange is a city located in New South Wales and his population is 39,329 inhabitants. On this page you can consult informations about distances and roadmaps from Orange to major cities and places in Australia. 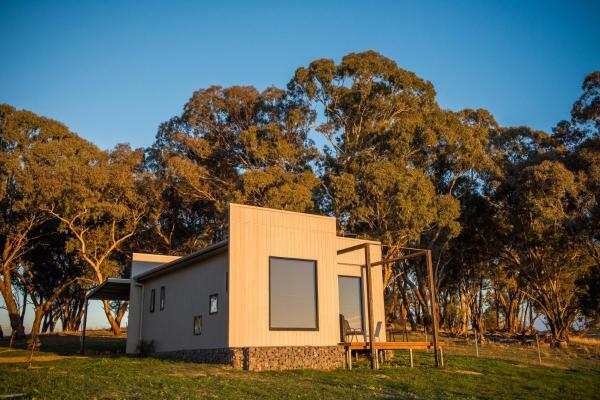 Featuring a tea house, Canobolas Mountain Cabins offers self-catering accommodation with air conditioning. The cottages are located within a 5-minute drive of various wineries. The cottages all come with a patio or balcony and BBQ facilities. This hotel is 10.55 km from city center. Dragonfly Cottages is a villa with scenic rural views, situated close to Orange. Air-conditioning, free WiFi and free parking are provided. The kitchen has a dishwasher and there is a private bathroom. A flat-screen TV is offered. This hotel is 7.74 km from city center. Featuring garden views from all air-conditioned rooms, Black Sheep Inn is just a 12-minute drive from Orange City Centre. Free on-site parking and complimentary continental breakfast are included. This hotel is 7.72 km from city center. Set on the picturesque slopes of the extinct volcano Mount Canobolas, Borrodell Vineyard boasts spectacular views across the Towac Valley and Orange. Guests enjoy free WiFi, an onsite restaurant and a bar. All accommodation includes free parking. This hotel is 7.92 km from city center. 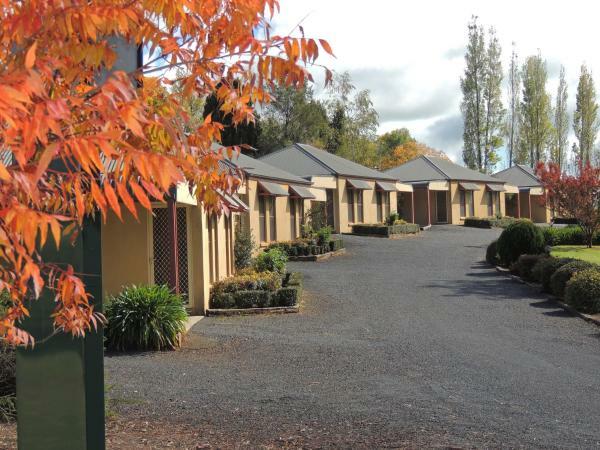 Towac Valley Cabins offer self-contained accommodation with free continental breakfast and a private balcony overlooking Mount Canobolas. The air-conditioned cabins feature a fully equipped kitchen with a dishwasher, an oven and a microwave. This hotel is 8.69 km from city center. Set on 5-acres of beautifully manicured gardens, opposite Wentworth Golf Club, Melview Greens features self-contained studios and apartments with access to a covered barbecue area. Free WiFi is provided. This hotel is 3.35 km from city center. Set within 3.2 km of Wade Park in Orange, Cole House Apartments features accommodation with a kitchen. Free WiFi is available. All units feature air conditioning and a flat-screen TV. This hotel is 2.04 km from city center. Situated in Orange in the New South Wales region, Kenna Cottage features a garden. Free WiFi is available in the holiday home, located 1.9 km from Wade Park. The holiday home consists of 1 bathroom and a living room. This hotel is 1.60 km from city center. 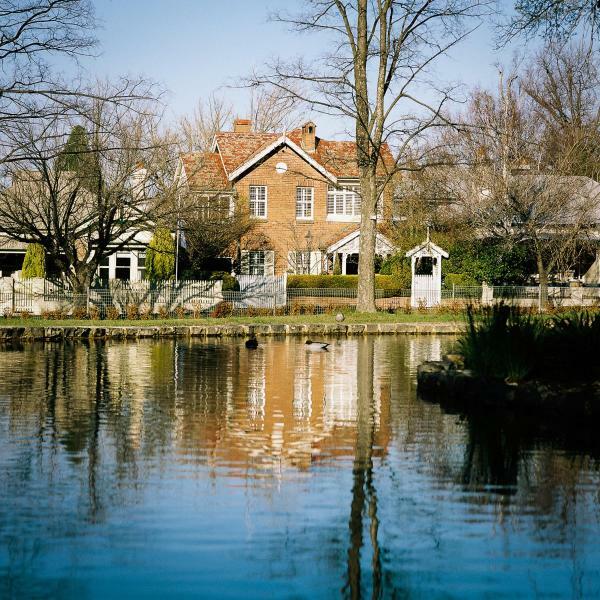 The Oriana, Orange is in the heart of NSW's Central West, just 3.5 hours drive from Sydney. This hotel is 1.29 km from city center. 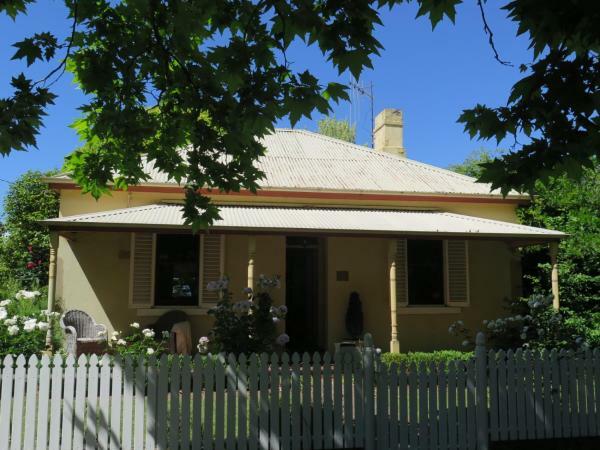 Situated directly opposite Cook Park in Kite Street, Orange B&B On the Park provides guests with exclusive use of the entire front of the historic home, including a bedroom, bathroom, sitting room, separate dining area and sun room. This hotel is 1.13 km from city center. 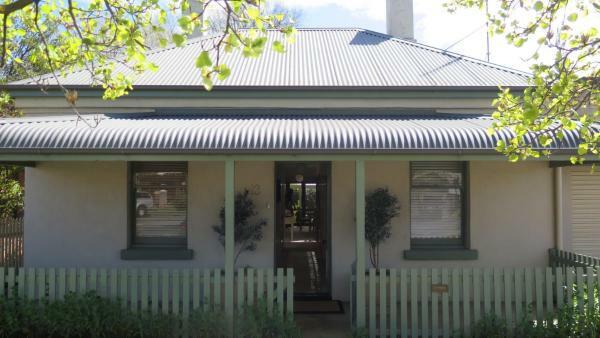 Featuring garden views, Dalton Cottage provides accommodation with barbecue facilities, around 2 km from Wade Park. Guests staying at this holiday home have access to a fully equipped kitchen. This hotel is 1.21 km from city center. Offering an indoor pool and free WiFi in all rooms, West End Motor Lodge is located in central Orange. All accommodation boasts flat-screen cable TV and an iPod dock. This hotel is 1.50 km from city center. 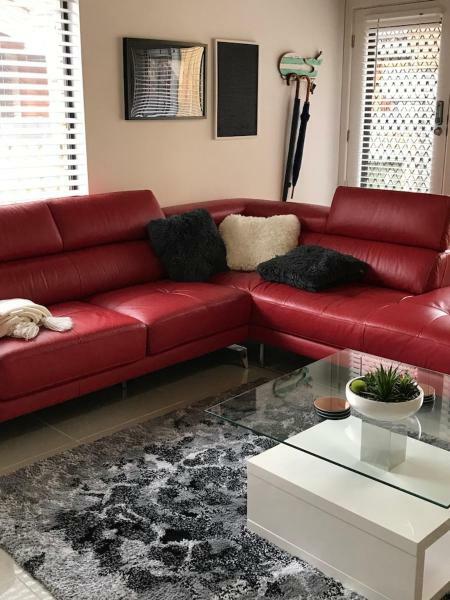 Situated in various locations throughout Orange, Apartments on the Park offer self-contained accommodation within 5 minutes’ walk of Orange’s town centre. Each apartment features a flat-screen TV and a DVD player. This hotel is 1.10 km from city center. Set in Orange in the New South Wales region, Mortimers Wines - The Vines Studio has a terrace and lake views. Guests are welcome to enjoy the free WiFi. This hotel is 6.76 km from city center. 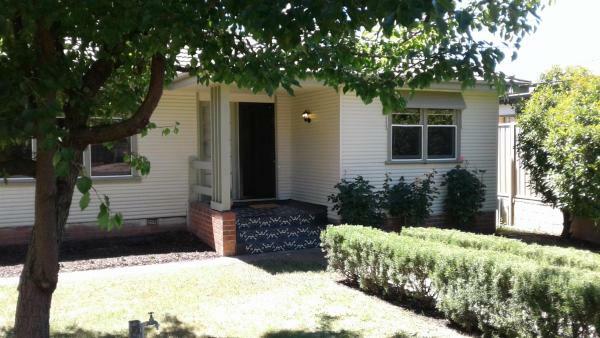 Located on a quiet, tree-lined street, The Sampson - Orange is a self-contained Californian bungalow set in the dress circle of Orange. Local shops, restaurants and cafes are all within a 5-minute walk. On-street parking for 2 cars is provided. This hotel is 1.23 km from city center. 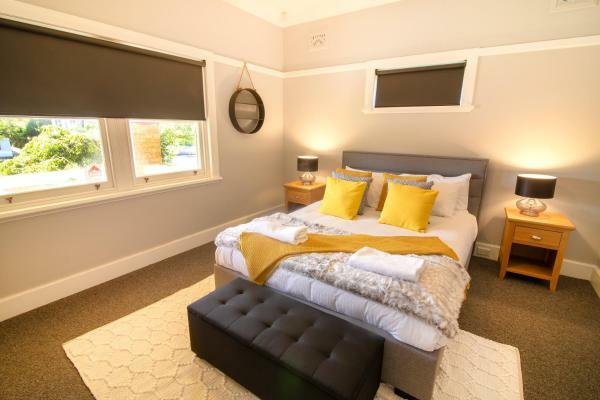 LUXURY IN THE ABSOLUTE HEART OF THE CBD is located in Orange. The property is 8 km from Wade Park. This hotel is 4.90 km from city center. 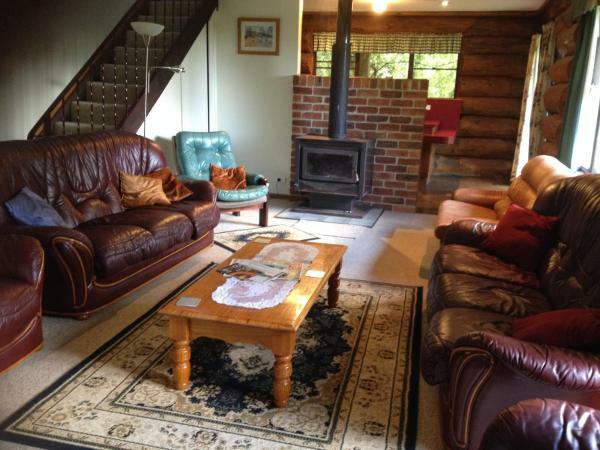 Apple Cottage, Orange NSW is a holiday home with a barbecue, set in Orange. 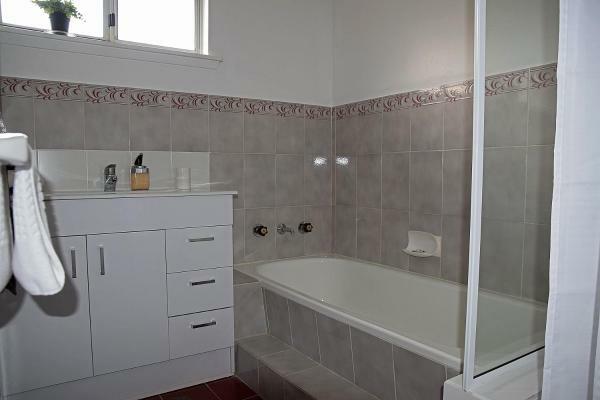 The property is 48 km from Bathurst and free private parking is provided. There is a seating area, a dining area and a kitchen complete with a dishwasher and an oven. This hotel is 0.98 km from city center. 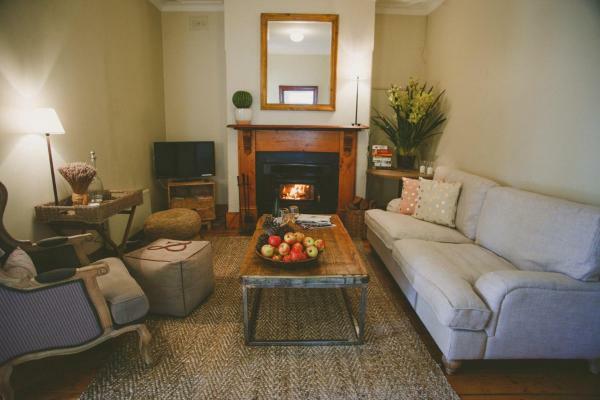 Magnolia Cottage is country style accommodation with modern facilities. 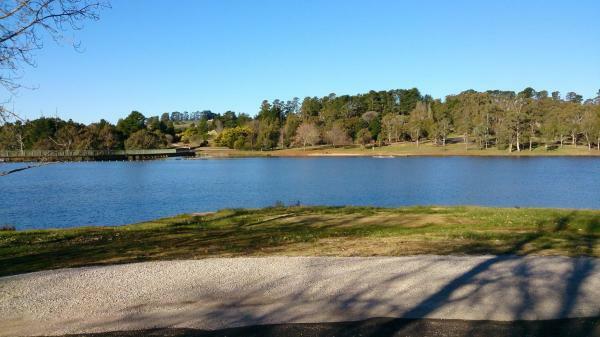 Located in the heritage area of Orange, New South Wales. It provides a fully equipped kitchen with microwave & dishwasher, spacious bathroom with separate shower recess &... This hotel is 0.92 km from city center. Located in the heard of Orange, Central Caleula Motor Lodge offers an outdoor swimming pool and an on-site restaurant and bar. Guests enjoy free WiFi and free parking. Caleula Motor Lodge orange is 15 minutes’ walk from Orange Regional Gallery. This hotel is 0.71 km from city center. 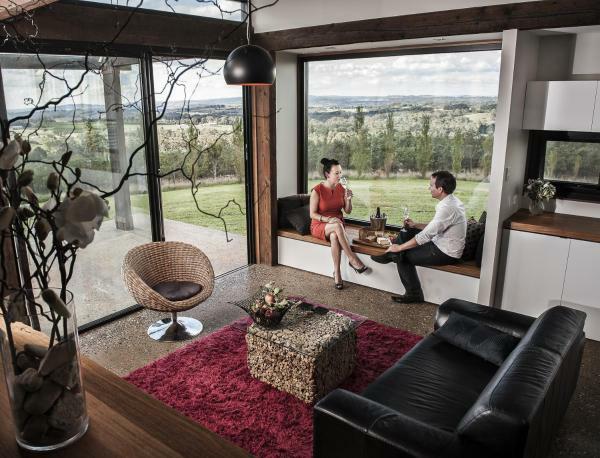 Boasting mountain views, Mortimers Wines - The Canopy Loft is set in Orange, around 9 km from Wade Park. This apartment features a garden. This hotel is 6.85 km from city center. Central Tranquility Heart of Orange offers accomodation in Orange, 800 m from the CBD. Guests can enjoy free WiFi. This air-conditioned 3-bedroom apartment includes 2 bathrooms equipped with a shower. This hotel is 0.83 km from city center. Central Tranquility is set in Orange and offers a garden. Guests staying at this apartment have access to a fully equipped kitchen. Offering 2 bedrooms and 1 bathroom, this apartment features a flat-screen TV. This hotel is 0.83 km from city center. 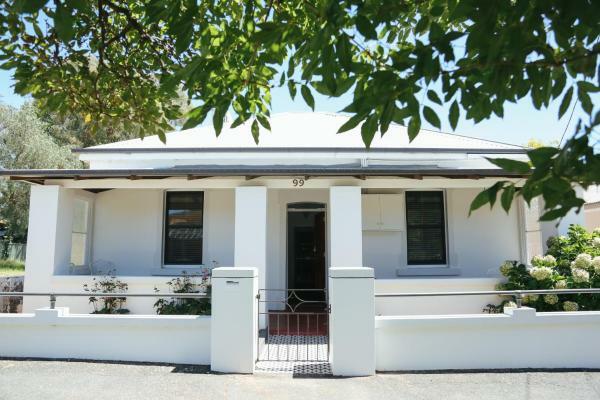 Located in Orange, within 1.4 km of Wade Park, 81 Hill Street is an accommodation offering garden views. This holiday home also has free WiFi. The holiday home consists of 4 bedrooms, a kitchen with dining area, and 2 bathrooms with bath. This hotel is 0.66 km from city center. 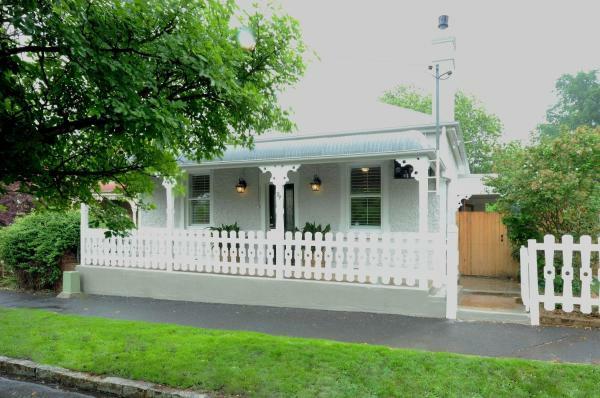 Cottage 79 is a beautifully renovated cottage, originally built in 1880. 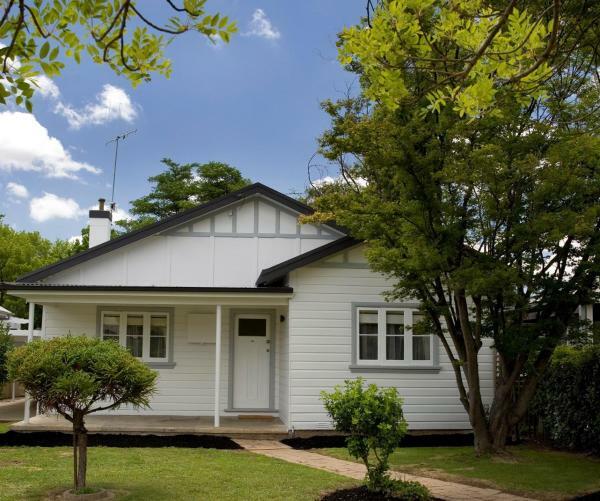 This charming self-contained property features modern facilities and located within Orange's central heritage area. This hotel is 0.64 km from city center. 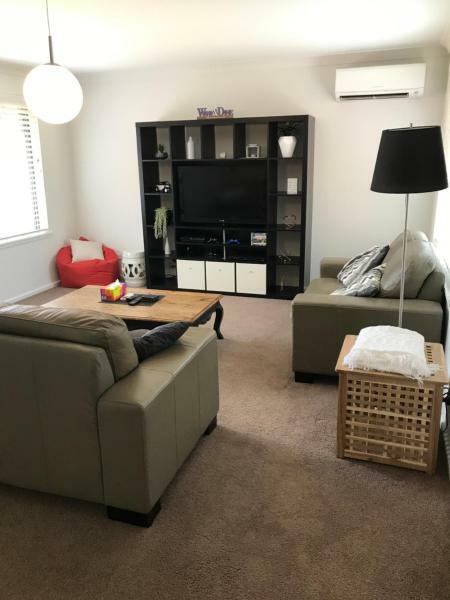 Situated in Orange with Wade Park nearby, 99 Hill Street Apartments offers accommodation with free WiFi. All units are equipped with a flat-screen TV and a fully equipped kitchen with a a dishwasher, an oven and coffee machine. This hotel is 0.74 km from city center.